Knoco stories: Knowledge as "the voice of experience"
Knowledge as "the voice of experience"
Is KM a way of sharing the "voice of experience"? In many ways, you can look at much of Knowledge Management as being a systematic approach to identifying, distilling and transmitting the voice of experience around the organisation. 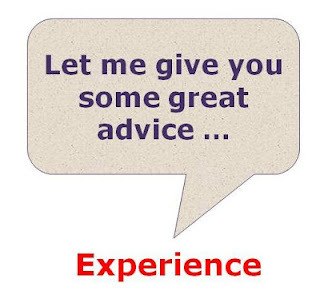 Experience is the great teacher, and experience which is shared through Knowledge Management can teach many people other that the person who had the experience themselves. People trust knowledge when they know its provenance and when they know it is based on lessons from real experience. Always attribute the source of the knowledge. Give its provenance, put people's names against it. It shows that it comes from a real and experienced source. Use people's own words if possible. Include quotes. Let the experience talk. Include pictures of the people who provided the knowledge. Knowledge seems more authentic of you can "see" the person who provided it. Capture the stories. Provided they are true stories, told in the words of the people involved, they convey authentic experience. Include the case studies. These are the record of experience.